300 pages | 34 Color Illus. | 21 B/W Illus. Retailers must be primed to face increasingly difficult trading conditions thanks to the rise of the internet, increasingly better informed consumers, technological advances and an often competitive environment. This established textbook, now in its third edition, helps to provide students with the necessary skills to understand and tackle these challenges. 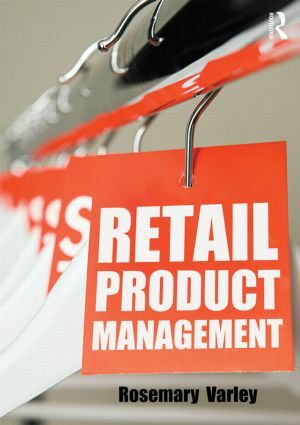 Retail Product Management explains the importance of retailing as a customer-focused activity and helps to provide students of courses such as "Retail Marketing", "Retail Management" and "The Retail Environment" with an excellent introduction to this important topic. With an emphasis on the operational side, this text incorporates features including expanded case vignettes, questions for further discussion, and application tasks. It also includes a new chapter on ethical and sustainable retail product management. Retaining the popular style and elements of the first two editions, Rosemary Varley's Retail Product Management will continue to find favour with students and lecturers involved with retailing.